No need to go crazy looking office depot coupon savings, just click and see them all on one page, updated weekly from their store. In Store: If you can't see their coupons, enter your zip code. - Office Depot Takes Competitors Coupons. Printable Coupon: Valid in store only for bulk shredding only. In Store: Get a 20% discount on custom posters, signs, and banners at office depot stores. Printable Coupon: Print this coupon and save $50 off the purchase of $350 or more of HP toner. Get more coupons for HP Toner here. Print out this coupon and get a 20% discount on regular priced office supplies and furniture.. Valid at office depot stores, Must present coupon to cashier at time of purchase. Spend $125 at office depot stores and get a $20 discount. Save 25% on same day business cards. Print out this coupon, save $1 on sharpie extreme packs. Valid at Office Depot and Office Max Stores. Get a $1 discount on any pack of uniball 2ct or higher. Valid in stores at Office depot. Boise X-9 Copy Paper, 10-ream case for only $27.99. Buy 2 get 1 50% off select ink cartridges. Buy $75 worth of ink at office depot or officemax and get a free $15 gift card. Print coupon for a 15% discount on all toner cartridges at office depot and officemax. This coupon seems awkward but it is valid, tried it myself and it worked. Bring this coupon to office depot and get 20% off on already 30% discount school backpacks. - Up to $50 off office furniture and seatings. - Buy one get one free post it products. Receive Office Depot and OfficeMax coupons and weekly promo deals here. 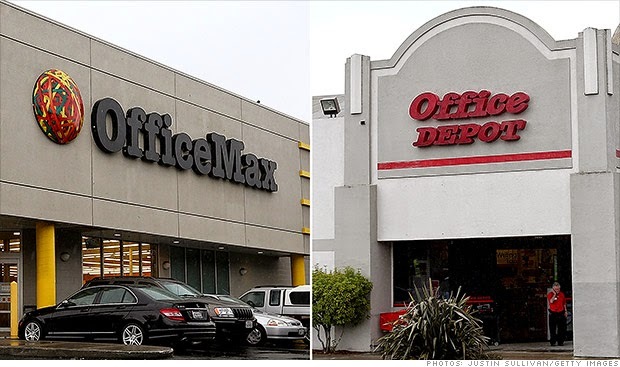 Office Depot - OfficeMax is an online super store that provides office equipment and supplies for businesses and personal use as well at discount prices. Buy school supplies, to lamps, pens, paper, pencils, office furniture and even digital cameras, their prices are extremely competitive and hard to match.